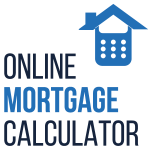 We’d love you to get in touch with Online Mortgage Calculators, especially if you have any questions or specific mortgage needs. We are proud that all of the mortgage brokers we use have been vetted by ourselves and must stick to our strict policies. By getting in touch, you are giving us permission, if required, to pass your details on to one of our qualified mortgage brokers, should it be required, to provide you with the best possible advice based on your personal circumstances.